Inter Partes Review (IPR) is an effective procedure for invalidating a competitor’s patent whereby a petitioner cites other patents and printed publications (i.e., “prior art”) to argue that a patented invention is not new or non-obvious. Typically, a petitioner should assert prior art that was not considered by the Patent Office during prosecution to increase the likelihood that the Patent Trial and Appeal Board (PTAB) will institute the proceeding. To this end, a petitioner’s prior art search should include foreign language databases of technical publications and patent documents in addition to English language publications. A petitioner is required to obtain a certified translation of a foreign language reference prior to submitting the reference. The specific translation can be a critical factor in the Board’s determination of whether to institute the petition (i.e., proceed to trial). Recently, a dispute concerning a translation resulted in an IPR petition being instituted. In 2017, Yamaha Golf Car Co. of Japan petitioned to invalidate U.S. Pat. No. 7,239,965 and U.S. Pat. No. 7,480,569, which claimed methods and systems for controlling a golf cart. Yamaha submitted as prior art a previously undisclosed Japanese patent application (Publication No. H9-128053 B2), arguing that the Japanese reference disclosed the patents’ “golf cart” limitation by citing the English translation of the Japanese phrase “electric transport vehicle” found in the Japanese reference. The patent owner submitted a competing translation that indicated that the disputed phrase referred to a “caddie cart,” not a “golf cart” as urged by the petitioner. 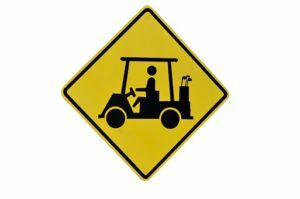 In order to arrive at the factual determination that the ’053 Unexamined Application does not disclose a “golf cart,” we had to rely on the English translation of the ’053 Unexamined Application. The parties offer competing translations for the ’053 Unexamined Application. See Exs. 1003 ¶ 2 (“golf cart”), 2001 ¶ 2 (“caddie cart”), 2003. To reach our determination, we necessarily resolved a factual dispute by crediting Patent Owner’s translation over Petitioner’s translation. According to [37 C.F.R. § 42.108(c)], we should have treated the translation dispute as creating a genuine issue of material fact as to the nature of the vehicle disclosed in the ’053 Unexamined Application, and, thereafter, viewed the disputed fact in the light most favorable to Petitioner solely for purposes of deciding whether to institute an inter partes review. See Dec. 18; 37 C.F.R. § 42.108(c). When preparing to file an IPR, prior art searches should include foreign language databases in addition to English language databases. Translators with broad knowledge of the context of the technology and an understanding of one skilled in the art are critical to providing an accurate translation. Discuss translation of specific claim terms with certified translators to determine whether material issues of translation may be present. Disputes in translations of foreign language references are resolved in favor of the petitioner at the institution-phase of IPR proceedings. When present, these arguments should be raised to provide petitioners a greater chance of institution. [i] Order on Reconsideration filed June 26, 2018 and available here.